Majete Wildlife Reserve – Travel Guide, Map & More! 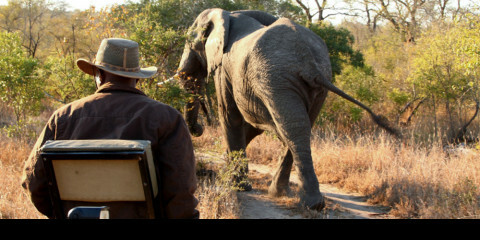 Majete Wildlife Reserve is Malawi’s only Big Five reserve and one of its top wildlife destinations. Badly neglected and heavily poached, the reserve was rescued in 2012 by the African Parks Network (APN). 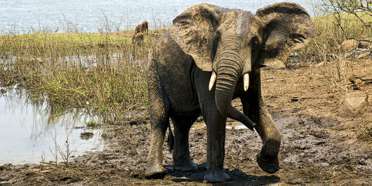 Since then, more than 2,500 animals have been reintroduced and populations of naturally occurring large animals have started to recover. A community-owned tented camp and a private concession with a five-star lodge, run by highly regarded Robin Pope Safaris, make this reserve an outstanding option. Most of the wildlife in Majete has been reintroduced, including large numbers of elephant, buffalo, zebra, sable antelope, Lichtenstein's hartebeest, nyala and waterbuck. Several lions and black rhinos have also successfully been brought in. The reserve boasts the largest variety of antelope species in the country including the thicket-loving greater kudu. 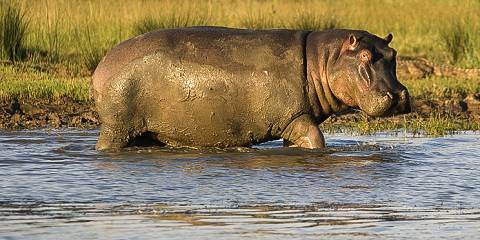 The 600-odd buffalo move around in huge herds, and the Shire river teems with hippos. 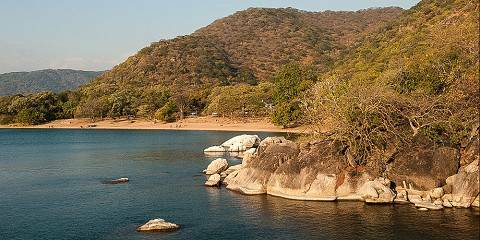 The terrain in the reserve is mostly brachystegia (miombo) woodland with rocky outcrops. One of these outcrops, the ‘view spot’, is a great place to get a sense of space and the wilderness overlooking the endless wooded hills. Kapichira Falls, reached by a short self-guided footpath, is worth a stop as well. The climate in Majete is hot and tropical. Temperatures are relatively uniform throughout the year, though there is a distinct rise in humidity and temperature in October, just before the Wet season starts. December to February are the wettest months, and daily thunderstorms can be expected. The first half of the Dry season, June and July, is cooler, so bring warm clothing for early mornings. The best months for wildlife viewing are July to October in the Dry season, when animals are drawn to the river and waterholes. It can however be very hot in October, which might be difficult to bear. The scenery is lush and green in the Wet season months from November to April, but animals tend to be harder to find and the roads become difficult to navigate. Want to Visit Majete WR?